If you were to go out into the streets and ask people to name the most famous of the monsters of movies I would argue that Godzilla would win in a landslide. In the various installments, the proclaimed, King of the Monsters, has been both a terror to humanity and its hero. Toho Company was the original film company to bring the monster to the big screen in the 1954 classic Gojira. The film was a made as a metaphor for the impending “monster” that was the nuclear arms race that had gripped the planet. Since that first film, the Japanese studio has gone on to make around 30 more feature length movies that have seen the monster become a near global household name, but slowly losing its moral/socio-political weight. In the 50+ years of the Godzilla franchise there have been 3 films made by an American studios; 1956’s Godzilla, King of the Monsters!, a Sony reboot of the character in 1998, and then the most recent reboot; Legendary and Warner Brothers’ Godzilla that hits theatres today. The 1956 movie that was the first to be made by an American studio was basically the 1954 Japanese version repackaged as a pseudo-documentary with Raymond Burr serving as the narrator. The 1998 dumpster fire that we were inflicted with by Sony was an absolute insult to the history of this iconic character and will never be mentioned again. That leads us to the Legendary-Warner Brothers film that hits theatres this weekend. Is this Godzilla movie another stinker, a lame repackaging, or a winner? The story is very close to the one we are all familiar with, actions taken by man awaken monsters from prehistoric earth that rise up to feed on radiation and destroy lots of stuff in the process. But to add a little bit of the human element to this saga, the writers inserted the personal impact the monsters had on the Brody family. This added element fit remarkably well and was easy to follow and believe. Bryan Cranston plays Joe Brody who is the supervisor of a nuclear power plant in Japan. His plant is the epicenter of an uprising of monsters. Cranston does a wonderful job in the role, the emotional destruction of Joe Brody following the meltdown at the plant and the near psychosis that he falls into are very well done. Joe Brody’s son, Ford Brody is played by Aaron Taylor-Johnson. Ford is married with a kid of his own and serves as an ordinance officer in the Navy. Elizabeth Olsen plays Ford’s wife, Elle. The main cast is rounded out by Ken Wantanabe who plays Dr. Ishiro Serizawa, the lead scientist/investigator that oversees the monster events. Outside of Cranston the cast is adequate with no one really standing out as particularly noteworthy either in a good way or a bad way. Considering the star of the movie is the monster… that is a very good thing. We all have an image in our minds as to what Godzilla is supposed to look like. 50 years of movies have seared that image into our minds. Obviously, in 2014 there is no way that a studio is going to make a movie by putting a guy on a scaled down city set in a rubber suit to achieve the look we have in our minds. Today we use motion capture technology and other forms of CGI animation to pull off this type of movie. We have seen what kind of work can be done with this scale of monster in movies like Cloverfield and Pacific Rim. So how did this incarnation of Godzilla do? I will say that purists will be happy and newbies will be impressed. The monster kept the classic feel, while also looking more lifelike than the original rubber suit. All things considered, I am very impressed with the work that was done with this movie. With that “other” movie in the back of my mind, I had low hopes for what I was going to see. I am very happy to report that I was pleasantly surprised by the movie and will happily recommend it to anyone that is a fan of the classic Godzilla movies. For the rest of society that just likes to see a good big budget action movie, you are in for a treat as well. 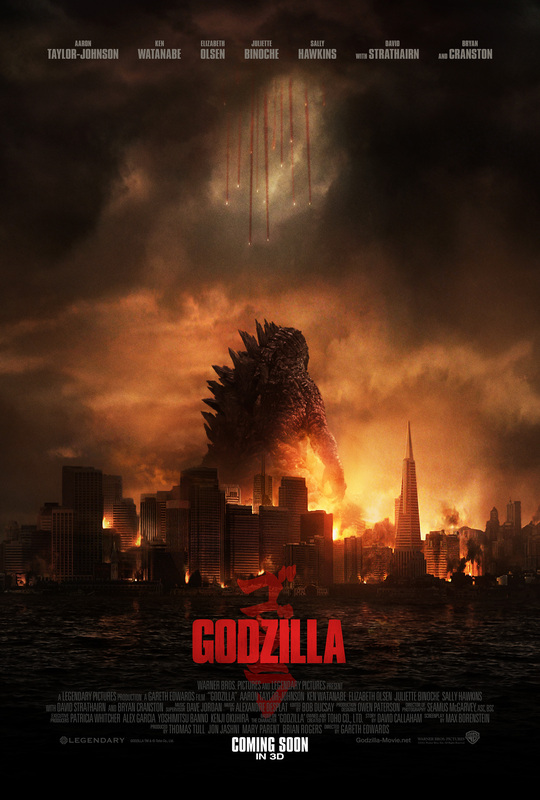 This movie has set the tone for the summer of 2014; hopefully the rest of the summer can follow Godzilla’s lead.